Well, the idea here [is] one spouse no longer believes the words by themselves. Because the other–who perhaps has had a brain injury to the right inferior frontal gyrus–can no longer imbue speech with passion, with the emotion that is the life force of our human relations. Jill Bolte Taylor was in her late 30s when a blood vessel exploded in her brain. The irony? Taylor is a neurological researcher. While a stroke typically leaves devastating effects in the body — and oftentimes leads to death — Taylor has made a complete recovery. She says the experience provided unexpected wisdom. 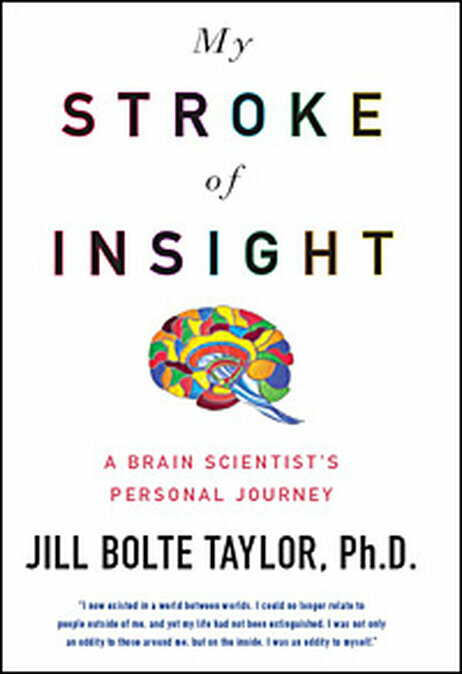 Her bestselling memoir My Stroke of Insight: A Brain Scientist’s Personal Journey will be published in paperback this month. … to these individuals, you know, I come right back to the – I think most important message of my whole journey is our human brain is resilient. It is designed to heal itself. I firmly believe that. And you can try to re-teach new cells in order to feel that again and in order to create new function where you have had cells that have been lost. Accent attribution in speakers with Foreign Accent Syndrome. J Commun Disord. 2013 Mar-Apr;46(2):156-68. Verhoeven J, De Pauw G, Pettinato M, Hirson A, Van Borsel J, Mariën P.
The main aim of this experiment was to investigate the perception of Foreign Accent Syndrome in comparison to speakers with an authentic foreign accent. Three groups of listeners attributed accents to conversational speech samples of 5 FAS speakers which were embedded amongst those of 5 speakers with a real foreign accent and 5 native speaker controls. The listening panels differed in their familiarity with foreign accented speech and speech pathology. The findings indicate that listeners’ perceptual responses to the three groups of speakers were essentially different at all levels of analysis. The native speaker controls were unequivocally recognized as native speakers of Dutch while the speakers with a real foreign accent were very reliably assessed as non-native speakers. The speakers with Foreign Accent Syndrome, however, were in some sense perceived as foreign and in some sense as native by listeners, but not as foreign as speakers with a real foreign accent nor as native as real native speakers. These results are accounted for in terms of a misinterpretation of markers of speech pathology as markers regional affiliation. The findings of the experiment are consistent with the idea that the very nature of the foreign accent is different in both groups of speakers, although it cannot be fully excluded that the foreign impression in the two groups is one of degree. (3) discuss the findings of the present study in relation to other studies investigating accent attribution in FAS. Posterior fossa syndrome after cerebellar stroke. We report longitudinal clinical, neurocognitive and neuroradiological findings in a 71-year-old right-handed patient who developed Posterior fossa syndrome (PFS) following a right cerebellar haemorrhage. After a 10-day period of akinetic mutism, the clinical picture developed into cerebellar cognitive affective syndrome (CCAS) with reversion to a previously learnt accent, consistent with neurogenic foreign accent syndrome (FAS). In addition, reversion to a previously learnt accent which represents a subtype of FAS has never been reported after cerebellar damage. The spectrum of aphasia subtypes and etiology in subacute stroke. J Stroke Cerebrovasc Dis. 2013 Nov;22(8):1385-92. Aphasia is one of the most common stroke syndrome presentations, yet little is known about the spectrum of different subtypes or their stroke mechanisms. the first month of stroke presentation, which enabled a diagnosis of 14 different aphasic subtypes. The evolution from one subtype to another in the acute and subacute period, at times, resulted in more than 1 subtype being diagnosed. the subtype frequencies included Broca aphasia (n = 170), anomic aphasia (n = 165), global aphasia (n = 119), and subcortical aphasia (n = 57). Less frequent subtypes (total n = 40) included transcortical aphasia (n = 11), Wernicke aphasia (n = 10), conduction aphasia (n = 7), aphemia (n = 3), semantic aphasia (n = 3), crossed aphasia (n = 3), pure word deafness (n = 2), and foreign accent syndrome (n = 1). Deep brain stimulation for obsessive-compulsive disorder affects language: a case report. Deep brain stimulation (DBS) is an effective treatment for patients with refractory neuropsychiatric disorders. Along with symptom improvement, DBS may have concurrent behavioral effects that help to unravel the role of specific brain circuitries in complex human behavior. This article reports on 2 patients with obsessive-compulsive disorder who received DBS targeted at the nucleus accumbens that resulted in a temporary change of accent and use of vocabulary. Changes in accent and speaking manners are most likely related to direct DBS stimulation effects of the electrode targeted at the nucleus accumbens. The shift in accent, resembling foreign accent syndrome after injuries in brain language centers, has not been reported before in the course of DBS. Induction of aggressive vocabulary may be related to transient hypomanic behavior after DBS. A fall on a stairway led to Robin Jenks Vanderlip’s foreign accent syndrome. A case of foreign accent syndrome. J Emerg Med. 2013 Jul;45(1):26-9. Foreign accent syndrome is a rare but potentially devastating clinical condition associated with altered speech rhythm and prosody, often occurring after a cerebral vascular accident. Missing this diagnosis can lead to delayed stroke work-up and treatment. We report a case of foreign accent syndrome in a 60-year-old woman who presented to the Emergency Department (ED) with 3 weeks of altered speech pattern, widened gait, bilateral leg heaviness, and mild headache. The patient had a history of Type 2 diabetes, malignant hypertension, toxic nodular goiter, and hyperlipidemia. She initially was thought to have had speech change secondary to a goiter impinging on the recurrent laryngeal nerve, and was discharged. She returned to the ED 3 weeks later when outpatient imaging revealed subacute infarction of the left hemi-pons and absent flow within the left vertebral artery. On examination, the patient was alert and conversational. She spoke fluently with an accent that had components of Jamaican and the accent of an Italian speaking English. She developed a second, more significant stroke 1 month later, with unilateral weakness and slurred speech in the middle cerebral artery distribution.